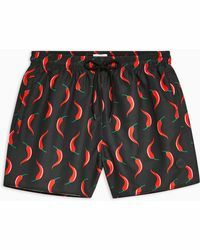 Whether you're beachside or poolside, make a statement with your beachwear. 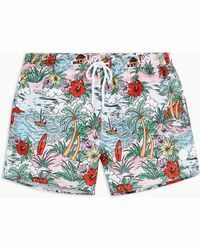 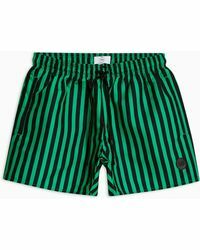 When it comes to summer style, beachwear gives you a full licence to go bold with your fashion choices and Topman's selection of beachwear fully accommodates this. 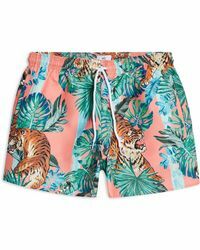 So be daring with a statement print, graphic design or pop of colour, Topman has your beach style sorted. 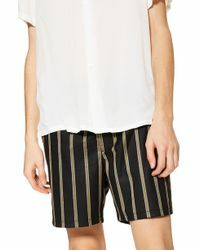 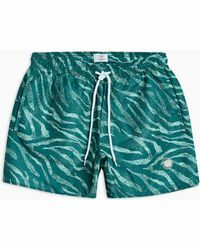 Knee or mid length boardshorts are practical and stylish, but the fashion focus this year has been on the short short. 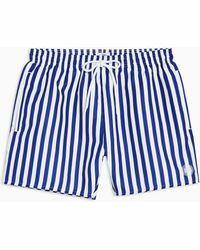 The beach is the easiest place to try it so invest in a pair of Topman's swim shorts in colour-blocked brights.